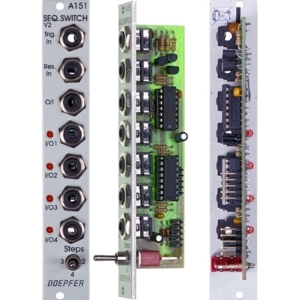 An analog OR gate outputs the maximum of two signals: not only it can merge two streams of triggers/gates like its digital counterparts, but it can also hybridizes LFOs, envelopes or even audio signals – creating the same type of inharmonic side-bands as ring-modulators. 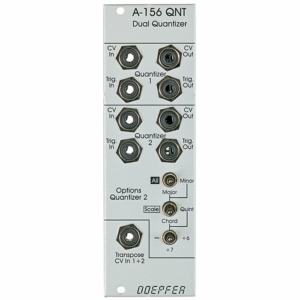 The analog AND gate outputs the minimum of the two signal. 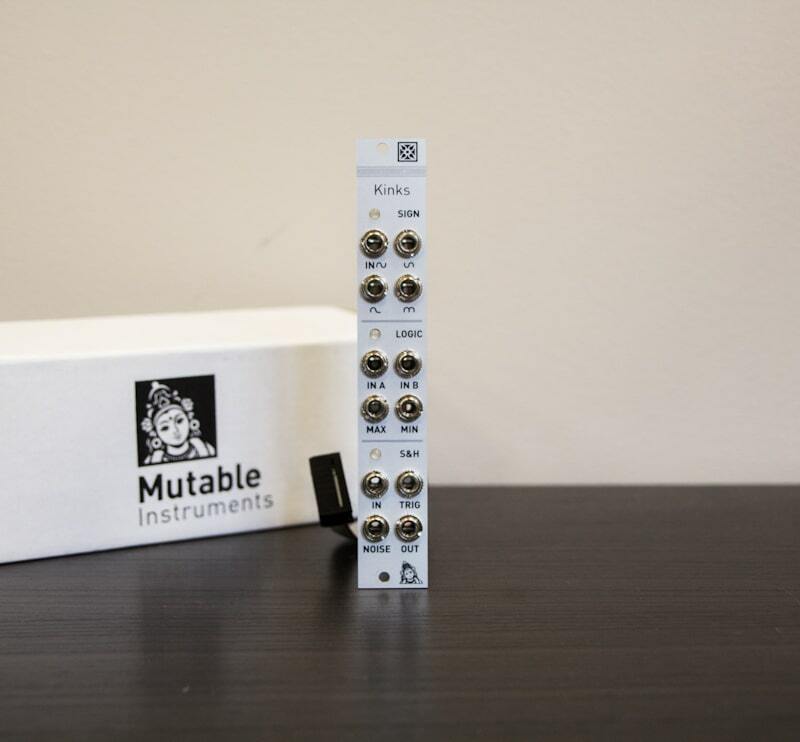 With it you can mute/un-mute a stream of triggers with another gate, or explore other shades of audio and CV mangling. A no-nonsense implementation of a classic synthesizer circuit… On each trigger received on theTRIG input, the output voltage takes the value of the input voltage and holds this voltage. The signal input IN is normalized to a white noise generator – to easily generate stepped random values. The white noise signal is also available through the NOISE output jack. – All circuits handle audio-rate signals. – Input impedance: 66k for RECTIFY, 90k for LOGIC, 1M for S&H. – S&H TRIG input edge detector: minimum pulse width: 25µs. Maximum slew rate: 0.2V/ms. 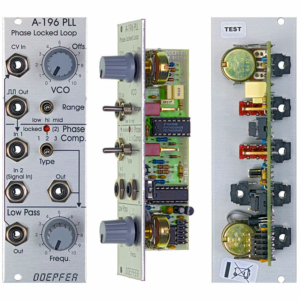 – S&H sampling time: 100µs. – S&H droop rate: <0.8mV/s. 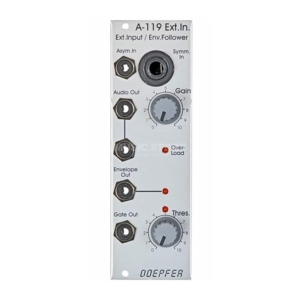 – Noise output: flat from 10 Hz to 30kHz (-6dB/octave rolloff beyond), standard deviation = 1.8V +/- 10%. – Current consumption: +12V: 25mA ; -12V: 25mA.